K.P. 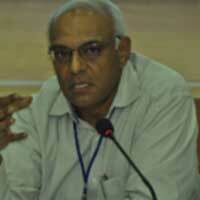 Krishnan is Secretary, Ministry of Skill Development and Entrepreneurship , Government of India. He is an IAS officer of 1983 batch. Prior to that, he was posted as Special/Additional Secretary, Department of Land Resources, and Ministry of Rural Development, and before that as Additional Secretary (Capital Markets), Department of Economic Affairs, Ministry of Finance. He has also served as Secretary, Economic Advisory Council to the Prime Minister and Joint Secretary at the Ministry of Finance. He holds a Ph.D. in economics and finance from Indian Institute of Management (IIM), Bangalore.